​​ AUSTIN – Another nonstop flight is on the horizon for Austin travelers. 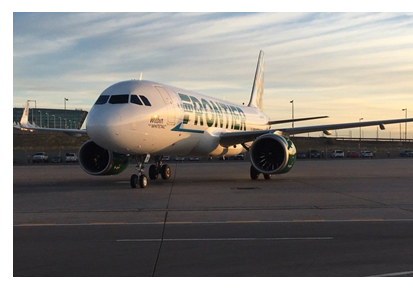 Frontier Airlines will add nonstop service from Austin to Cleveland in 2018. The low-cost airline will operate the service four days a week—Monday, Wednesday, Friday, and Saturday—beginning Monday, April 9, 2018. Flights will depart Austin-Bergstrom International Airport at 12:04 pm; return flights will depart Cleveland Hopkins International Airport at 4:39 pm. ​​Check out more infrastructure stories across Texas.